What a beautiful way to honor your family & Celtic heritage. Great for Irish, Scottish and Welsh! That really jazzes for me because I am all three. Take a closer look at this beautiful snowflake. It has people holding hands forming an eternity circle. Each spoke of the snowflake is made up of hearts forming an everlasting love knot. We have hung a very beautiful beloved trinity from the bottom to capture the richness of faith, tradition and family. 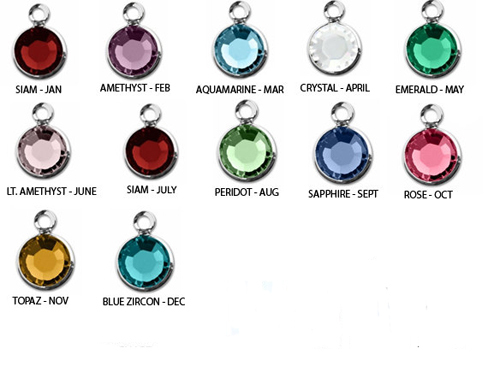 To top that off, we will customize this for you with your choice of birthstones. You can add them now or later as your family grows. This is going to be a family favorite keepsake and look amazing on your tree. You can add from zero -50 stones. We will find a place to hang them for you. -This highly polished silver over pewter snowflake measures 4 ¼" from top of fixed bail to bottom of charm, and 2 5/8" across. This lovely ornament can y. also be worn as a pendant, or hung in a window- there are so many possibilities Why not use it as a package tie.